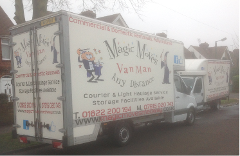 Moving house can be a headache, but let Magic Moves Ltd take the stress out of moving day with our reliable removals services. We can help with everything – from packing to the heavy lifting (of course if you would prefer to pack your items yourself, then this is also okay). Any item that we do pack will be protected and labelled appropriately – please talk to one of our friendly team about which packing and protection items (such as cardboard boxes and bubble wrap) that you will require. The complete satisfaction of all of our customers is very important to us and this is why we have insurance for goods in transit of up to £20,000 (further cover can be arranged if required) so that you can rest assured that your possessions will always be safe and protected at all times. We have the ability to transport your goods across the country, and with our wide range of vehicles from small vans to large lorries – we really can accommodate any load. But what if your move isn’t taking place immediately? Well don’t worry! 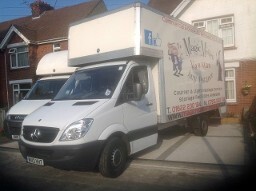 Our team of expert movers are on hand to help! We also have a secure storage facility where you can access your items between 8 am and 6 pm from Monday to Saturday, goods can also be accessed from outside the office hours for a small fee.